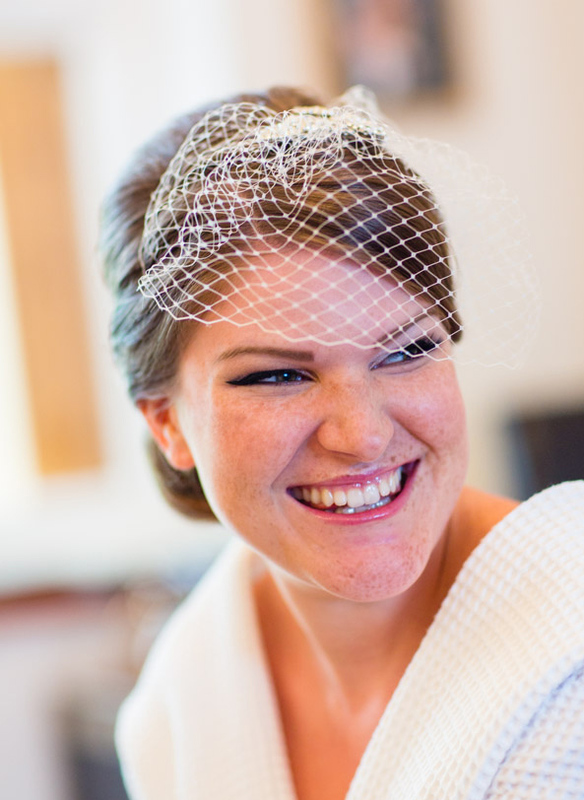 So you’ve completed one of our Bridal Hair Courses – now what? With all of our courses being Habia endorsed and AQA accredited, once you’ve trained with us you’re officially a pro Bridal Hair Stylist and you’re ready to start working with clients or to kick-start your existing hair stylist career to a whole new level! It’s all very well and good having all the right skills and feeling confident enough to take on the wedding hair and makeup industry but how do you turn your new-found talent into loads of clients and a full-time job? You’ll have been over some fantastic business tips with Pam already at the end of your course, but there’s always more to learn! 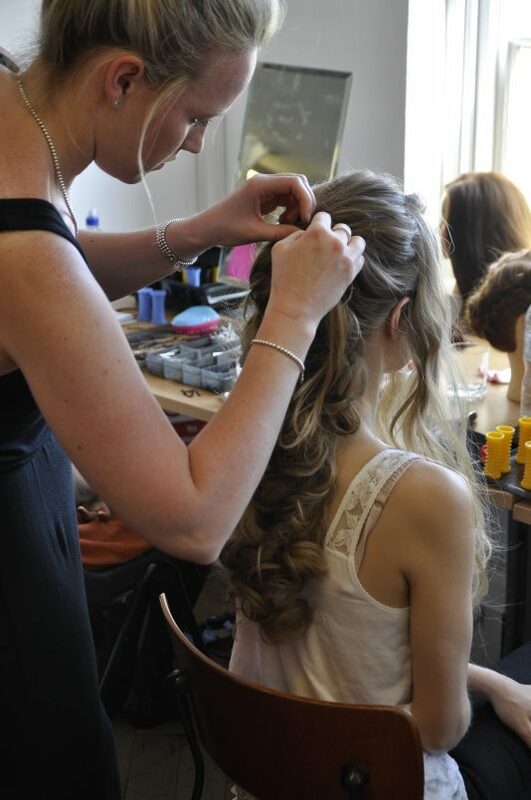 Join us on one of our 2 or 4 day Bridal Hair Courses or sign up online for all the skills and qualifications you need! There’s a lot of competition out there in the Bridal Hair industry, so you’ve got to stand out from the crowd! The best way to do this is to make sure that you have really amazing photos of your work online, available for everyone to see. 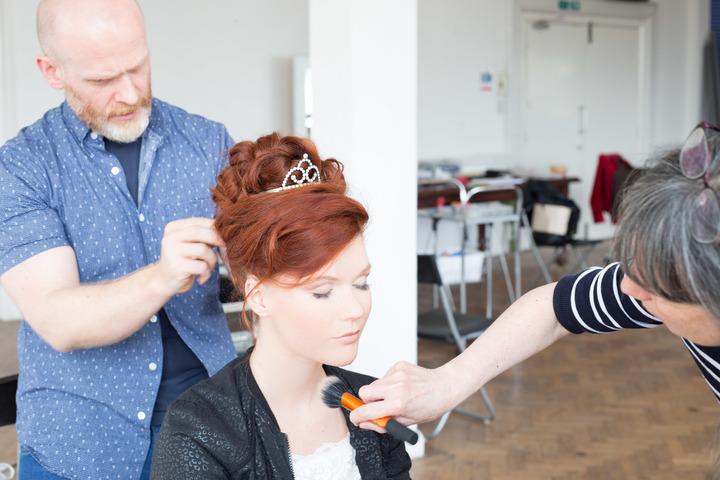 Join us on our 4 Day Bridal Hair Course for a professional portfolio photoshoot on the final day! Arranging regular pro photoshoots is a must for all bridal hair stylists and they don’t have to cost a penny! Offer your services on a TFP (time for print) basis and team up with excellent photographers, stunning models and even wedding suppliers for dresses and accessories to make your photos even better. Everyone needs beautiful images of what they have to offer, so you can put together incredible Bridal Hair shoots that benefit everyone involved. Model Mayhem can be a brilliant resource for scouting talent and willing participants. Top Tip: Don’t wing it on photoshoot! Always do a plan beforehand where you think about the model’s hair and pick your styles carefully to showcase your work in the best way possible. It’s 2017 – if you don’t have a web presence, you don’t have a business! Now you’ve got those images sorted, you need somewhere to put them! Almost all of your prospective clients are going to be looking for the services you offer online. 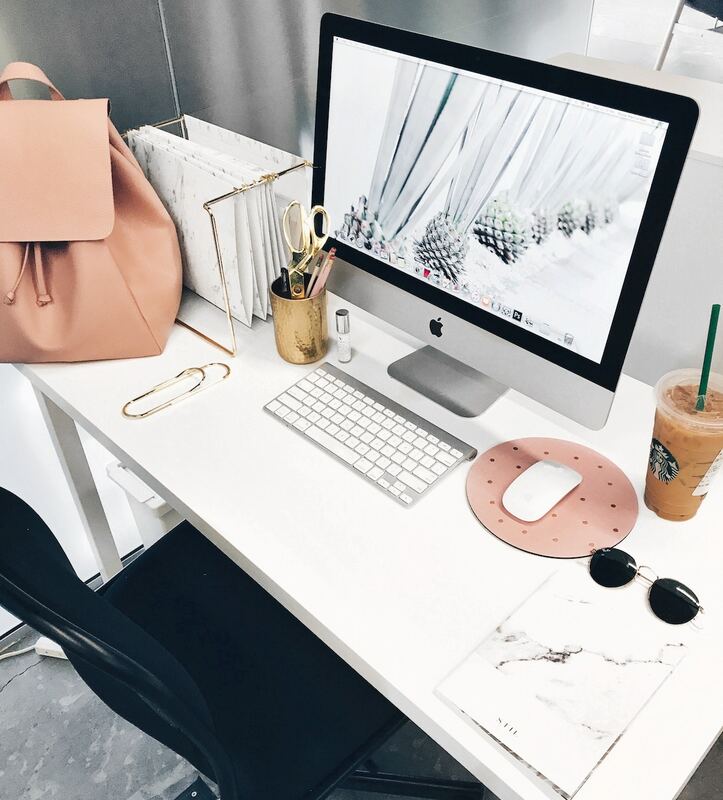 Even if the quality of your work gets out through word of mouth, they’re going to want to look at your portfolio, so when you’re thinking about how to kick-start your hairstylist career getting your work and contact details online should be your number 1 priority. Having a really gorgeous website with galleries full of fantastic images, a bit about you, prices and how to contact you is an easy way to make yourself look professional from the get go and over time, if used right, can get you noticed on search engines too. We've teamed up with Ruby at www.seotrotblogs.com to offer you a special CBH discount on all of her services, including beautiful websites and SEO blogs, starting at just £200! The more presence you have the better, so it’s also a good idea to set yourself up business pages on social media, particularly Instagram, Facebook and Pinterest, to show off your great work. Don’t overwhelm yourself! Doing social media right can be very time consuming, so master one or two channels first rather than trying them all at once. Make sure that the pages you set up are business pages, not personal pages and design them to really look like business accounts too, with sleek banner designs and clear, well lit images. You want the photos you upload to look so fab that people love them enough to share with their friends! If you’re taking photos with your phone, always edit them first. Snapseed is an amazing, free app that can transform images easily. Having lots of 5 star reviews on your business facebook page is very important, as the more you have the easier it will be for people to find you! 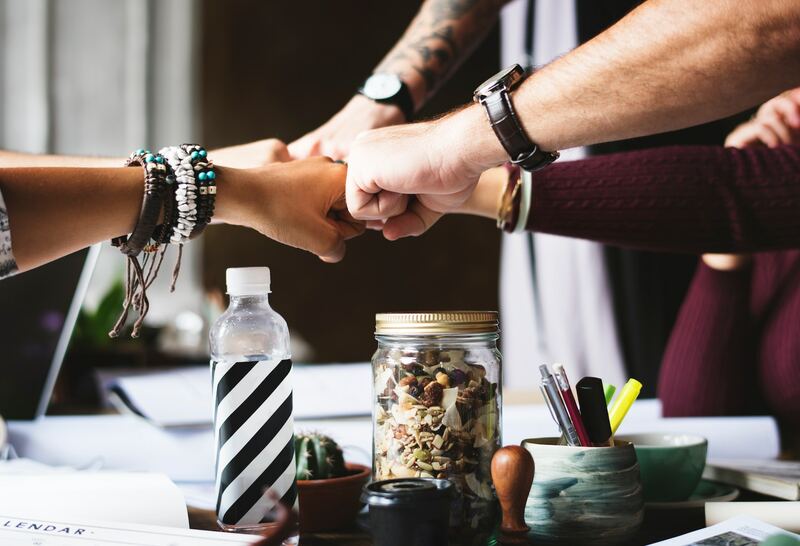 Ask everyone that you work with to give you a nice review. You could even do hair for some friends and family and ask them to give you a 5 start review too to give you a bump! The more contacts in the industry the better! Master your social media channels; be pro-active in sending out emails & press releases to introduce yourself and collaborate with others; attend wedding fairs to meet potential clients and suppliers. Having a blog is a great way to get attention on other wedding service websites as you can link and image swap on your blog with others in the industry and ask them to return the favour. As an added bonus, blogs are also an excellent way to keep your website content relevant and refreshed which is a must for website SEO. Once you’re all set up online, you might start thinking about advertising to gain more interest and followers. Google advertising and boosting Facebook posts can be really effective if done right. If you’re based in a big city, you may find that your boosts don’t get you very far as you’re up against a lot of big players, but you will have more luck if you’re in a smaller area. Always boost your post in the area you’re based in otherwise you’ll be reaching the wrong audience! The more you work the more you’ll get! It’s so important to always be working, whether that’s on TFP shoots or real jobs. This isn’t only a great way to keep your styles and skills fresh, but it will also give you the chance to snap away on your phone and upload your busy working life onto your social media channels to show how in demand you are, as well as getting more great images for your portfolio. Once you’ve got all the images you need, don’t under-charge or work for free anymore! If you’re wondering how much you should charge, just take a look at competitive pricing in your area. If you’re working with a bride, make sure to ask permission from the photographer and the bride herself before you use their images. Join our student Facebook page to stay up to date with job offers and opportunities to assist Pam.